ARP will be present, in march 2019, at the CFIA show in Rennes in France. ARP was présent, in november 2018, at the All4Pack show in Paris in France. ARP was present, in march 2018, at the CFIA exhibition in Rennes in France. 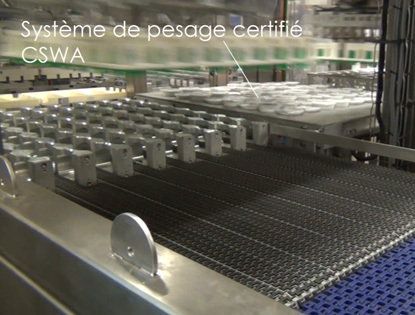 ARP has just received the european certification for its automatic weighing system type CSWA. This system allows to wheigh 100% of products, automatically, in a static mode, for a better precision. Products out of specification are automatically rejected. It's integrable as an option into our machines, or in the form of an independent machine. Here should be our video but your browser can't display it. This page requires the latest version of Adobe Flash Player, please update your computer.